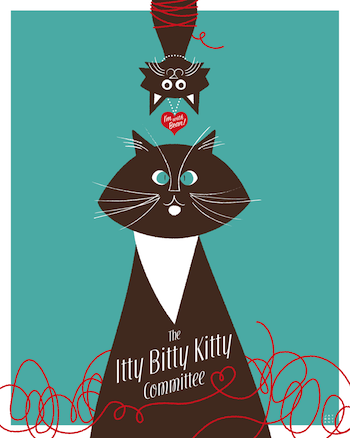 Catsparella: The 2013 Itty Bitty Kitty Committee Fundraiser! It's that time of year again! The Itty Bitty Kitty Committee, aka your other favorite cat blog and the web's premiere source of adorable kitten pix, is holding their annual FUNDraiser, in conjunction with the Tacoma & Pierce County Humane Society's annual Dog-A-Thon walk for homeless pets, taking place on July 20 in Lakewood, Washington! Since 2007, Laurie Cinotto has been documenting the daily lives of the kittens she fosters along with her husband Craig, and their resident cats, Charlene Butterbean, and recent addition, Wylla Stout. 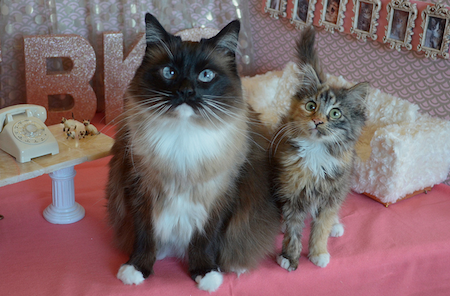 The couple have opened their hearts and doors to 168 kittens over the years, and since 2009, have raised $260,000 for the shelter. This year, their goal is an impressive $100,000 (100 squillion in kittenspeak), and with 9 days left, Team IBKC is well on their way. Wylla's are standing by to take your call! 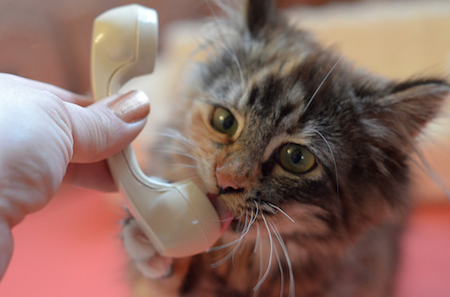 "All of the money we raise will go directly to the cats and kittens. It will help fund the foster program and in-house and off-site adoption programs. It will help make many shelter improvements for the cats. It will buy cats cozy little fleece beds and other comforting items. It will help reduce the cost of spay and neuter surgeries for cats of lower income families. It will also help fund a program at the shelter designed specifically to help elderly pet owners on fixed incomes who can’t afford to feed their beloved companions. It will feed and provide medical care for tiny kittens, adult and senior cats. It will help make life better for our amazing shelter cats, while they wait for their forever families to come along." This year, the campaign has been focused on catching up with some popular IBKC graduates to see how they've grown from bouncing baby kittens, into refined felines. There's also plenty of matching donation challenges, and days dedicated to special causes, like the senior cat medical fund. Laurie recently unveiled a poster designed by Jay Bryant (Wylla's little tag reads, "I'm with Bean!") to benefit the cause, and the popular "Tea with the Bean" (your opportunity to have lunch at IBKC headquarters), is back on the auction block. To give you an idea of just how popular these guys are, as of this writing, it's already up to $777.77! Visit The Itty Bitty Kitty Committee to get your daily fix of charming kitten pics, and click over to their FirstGiving page to make a tax-deductible donation, and learn more about the event. Wow, that's so cool. How awesome that Laurie and Craig are doing so much for the kitties! It amazing how many cat lovers there are out there. I never was a cat-lover until I moved out here a few years ago, and we got 14 cats!